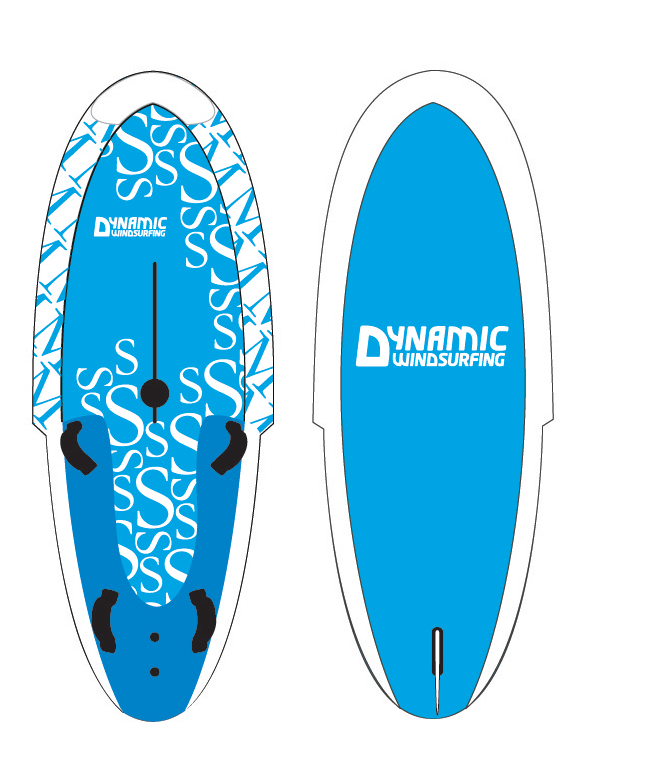 The Dynamic windsurfingboard: One board – four shapes! The XL-board’s shape works perfectly for lighter wind conditions. For more experienced sailors the XL board combined with the largest sail size is an excellent way to enjoy windsurfing on those many sunny and beautiful non-extreme days. Perfect for sailing longer distances or training light-wind sailing techniques. Include some pumping and you will even get a real workout. The XL shape is the same as the L shape but with a critical difference, besides the skeg (fin) the XL also has a centre fin. The centre fin is an important feature as it adds stability, decreases downwind drifting and greatly improves the board´s performance when sailing upwind. planing abilities. Just a small gust of wind will accelerate the board onto the surface of the water(plane) and enable speeds exceeding 15 knots. 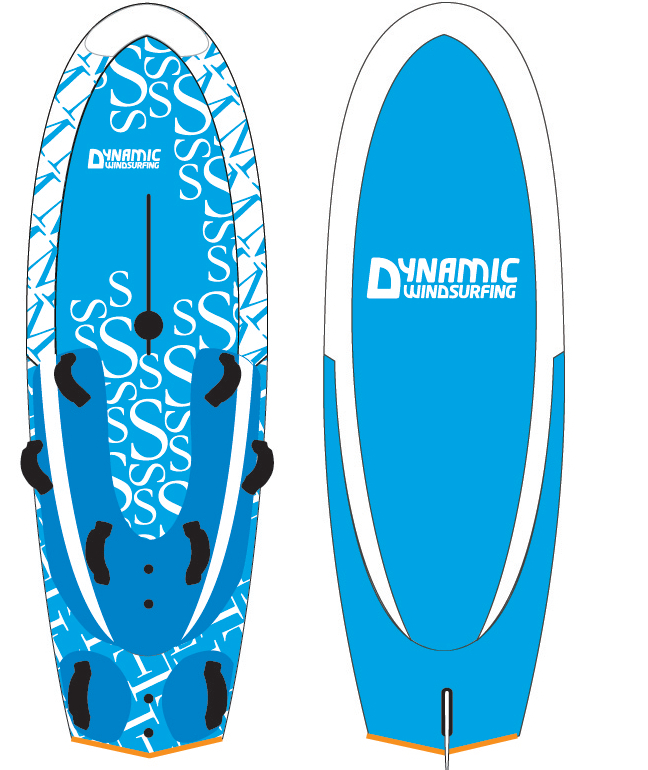 The seasoned sailor will enjoy this board shape even in stronger winds, especially in gusty or flatwater conditions, as the shape maximizes you average speed. For intermediate sailors this board is the perfect design for learning and improving your planing techniques. The L-shape is wide at the stern and has a large skeg. With the L you can point close to the wind at planing speeds and sailing deep downwind. The M-board’s shape gives full planing capabilities, great response and fast turns. M is perfect for advanced and intermediate sailors. Perfect for training water starts, foot steer the board, make body drags, practice planing jibes or just try to outrun other sailors on the water! Importantly, you still have enough board volume to comfortably uphaul the rig and sail if the wind drops, so getting back to shore is no problem. The bow of the M-shape has relatively large volume in order to keep steady and enhance early planing. The narrower tail givesa smaller wet surface when planing resulting in higher topspeeds. You don’t get a gale-force wind every day, but when you do, you don’t want to miss it. 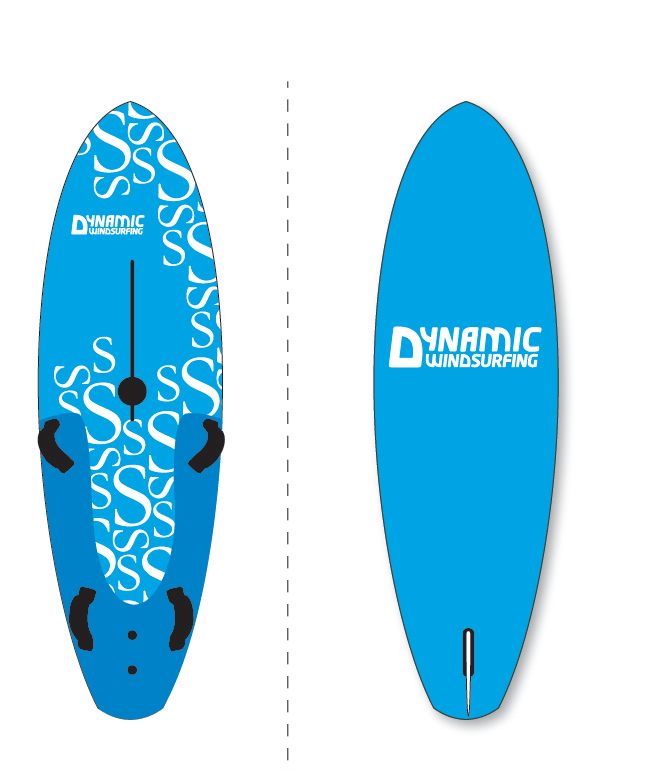 Full speed, fast turns and high adrenaline.For strong winds or waves, this is the ideal board shape. You can choose whether you want to set your next speed record, do high jumps or pull off that laydown jibe. 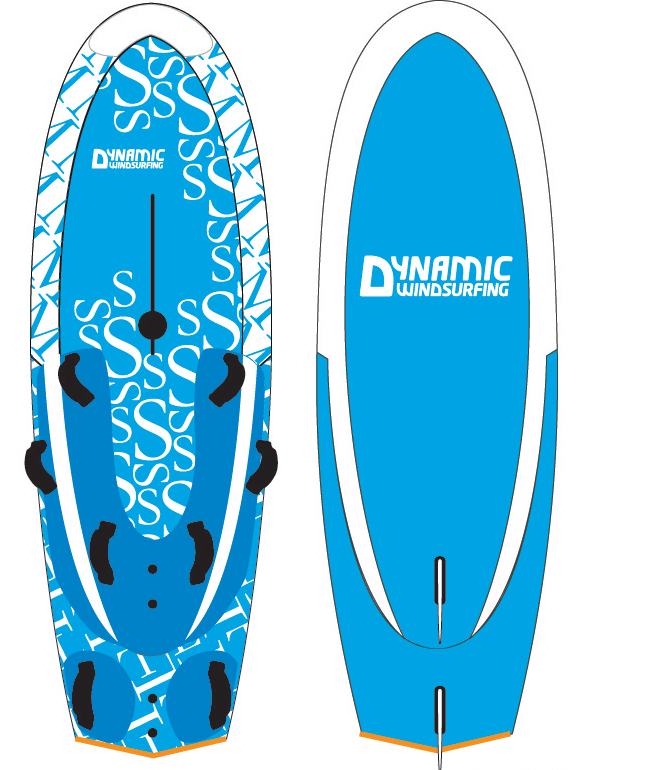 S is shaped like a classic sinker and demands precision in both foot placement and overall sailing technique. S is sailed by fin planing alone. The s-shape with the s-sail is the advanced windsurfers favourite combination to face the really rough days on the water.